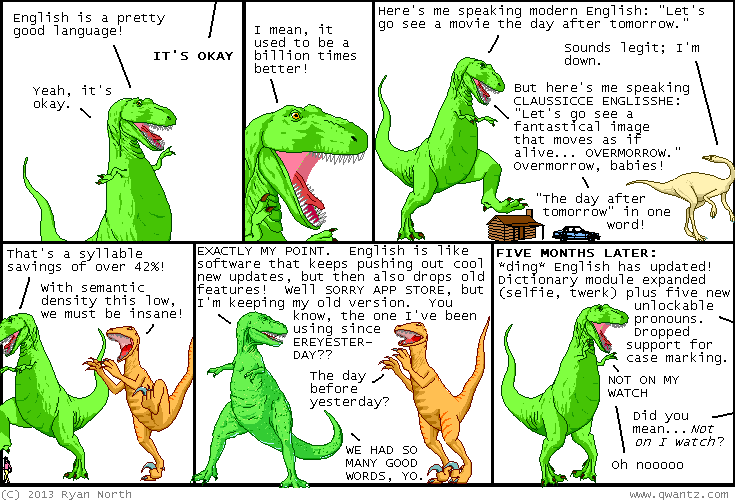 Dinosaur Comics - November 26th, 2013 - awesome fun times! November 26th, 2013: A poem! One year ago today: "i'm addressing myself while i'm dressing myself in a dress for myself"